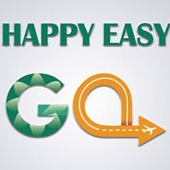 HappyEasyGo is an India based local Online Travel Company. We are providing best air tickets online with the lowest Price. Now you can book various airline tickets (Domestic) such as IndiGo, Jet airways, Go air, Spice Jet, air Asia, Vistara and Air India. We provide you updated and verified Happy Easy Go instant discount airfare and special offers on flight tickets.